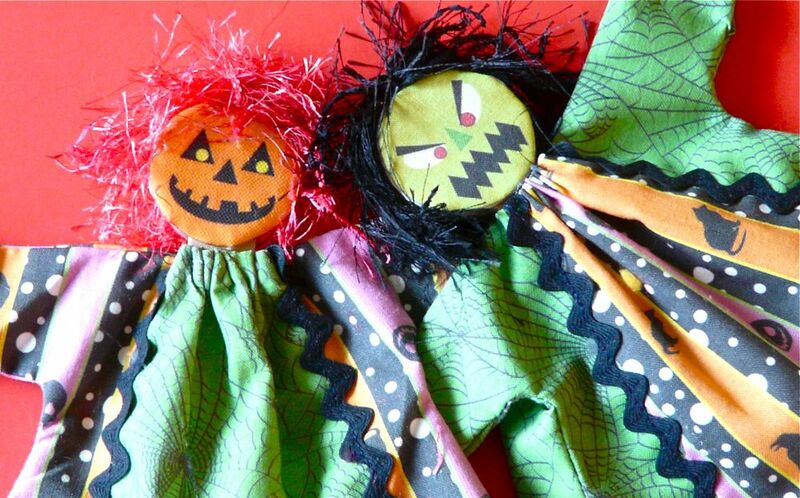 This week Diane Gilleland from CraftyPod shares a tutorial for making your own Halloween hand puppets. These puppets would be fun Halloween party favors! There's a craft stick inside the skirt to make puppeteering easy for little hands. Older kids might enjoy adding the extra hand controls shown in the video below. Best of all, either version makes up in about an hour. I designed my puppet faces using a paint program on my computer and printed them on Spoonflower linen-cotton canvas. 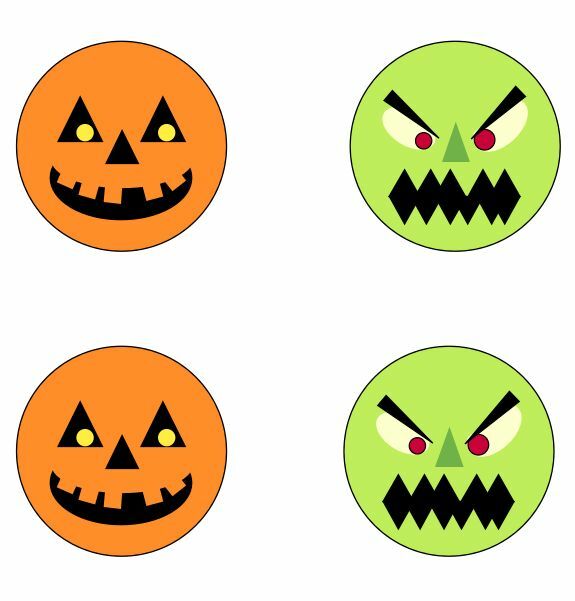 You're welcome to download my file, or if you have artistically-inclined little ones, they can draw their own puppet faces to print on fabric! My sample puppets have 1 5/8" diameter faces. You could certainly make them bigger if you like. 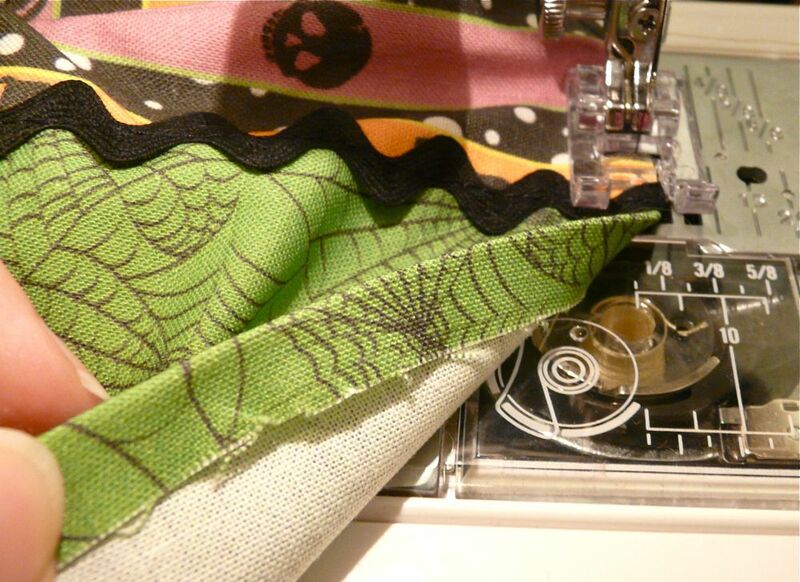 All seam allowances in this project are ¼". 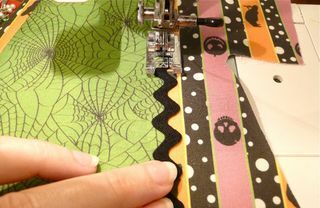 A note on glues: I like a low-temp hot glue gun for all of the steps in this project – it bonds quickly and speeds up the process. But, if you're making this project with kids, of you aren't familiar with using hot glue, you might want to use craft glue instead. You'll need to allow some dry time here and there, but it'll save those little fingers from being burned! 1. Print the downloadable dress pattern and cut out four pieces of fabric: the puppet dress back, its center front, and two side front pieces. 2. First, assemble the three pieces of the dress front. 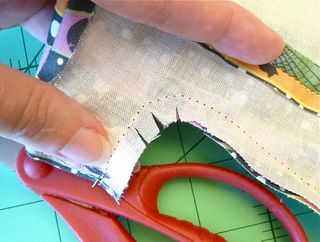 Place them together with right sides facing, and sew them along the seam lines. Just for fun, I sewed some ric rac on top of these two seams, but you can leave this step out if you like. 3. Now, put the front and back together with right sides facing, and sew the shoulder seams. 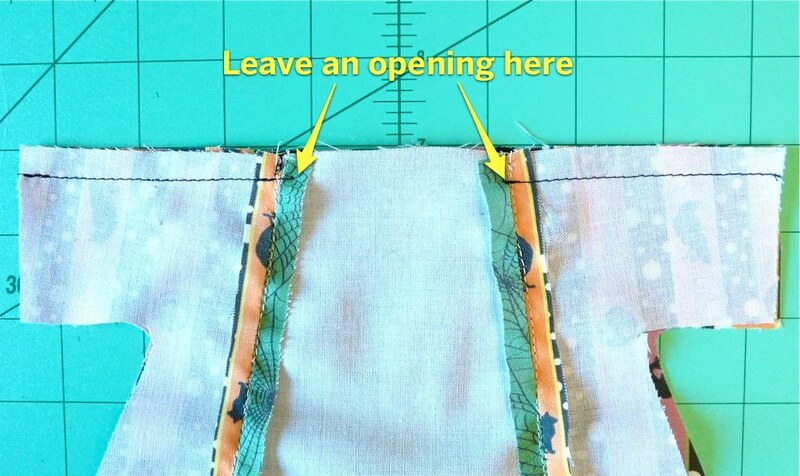 Leave this seam unsewn between the two seams on the dress front, as shown below. This opening will be the neck opening of the puppet dress. 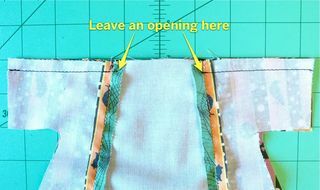 Press the seam allowances open (including the unsewn section), and while you're at the iron, fold up the edges of the two sleeves ¼" and press this fold. 4. Stitch along the sleeve hems you made in Step 3. 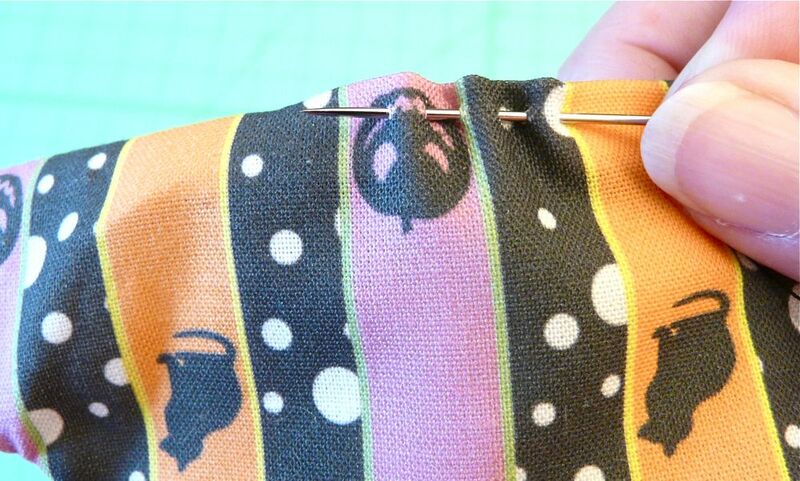 Then, pin and sew the two side seams (again, right sides facing). At the points where these side seams curve, carefully clip into the seam allowances as shown. 5. Turn the dress right side out now. 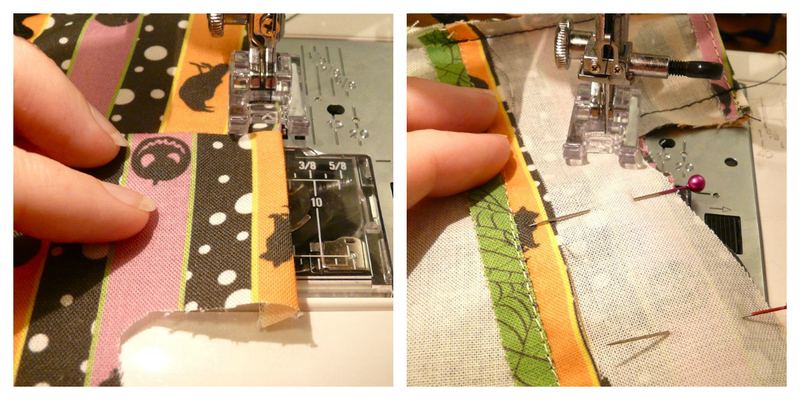 This allows you to easily reach inside and press the side seam allowances open, as shown. 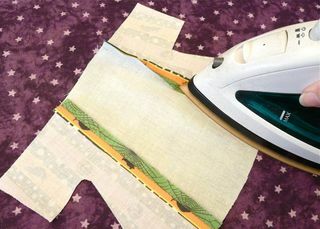 Don't worry about pressing the sleeve seams. 6. Now, fold up about a ¼" hem along the bottom edge of the dress, press it, and sew this in place. Your puppet dress is almost ready! 7. 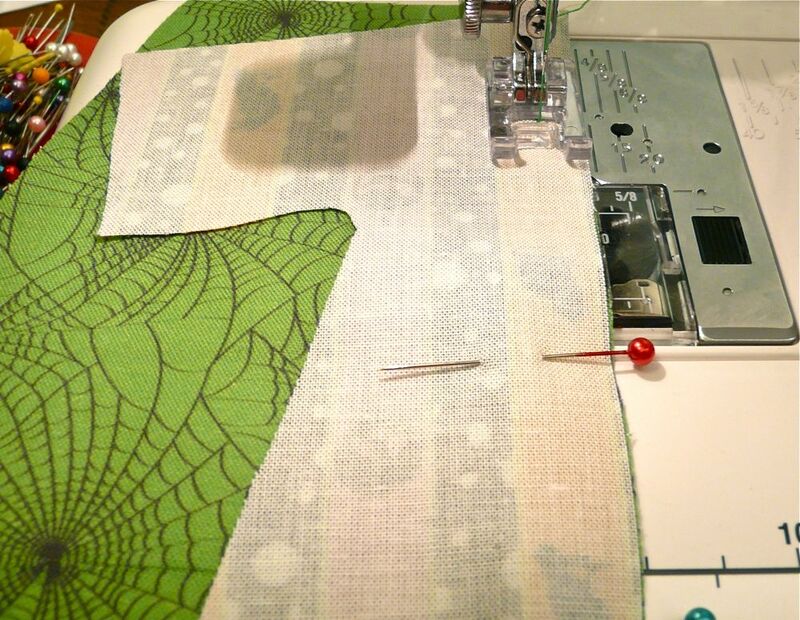 To finish up, we'll sew a gathering stitch around the neckline by hand. Thread a needle with about 10" of strong thread. Start stitching at the center back of the dress, leaving a 3" tail of thread hanging on the right side. 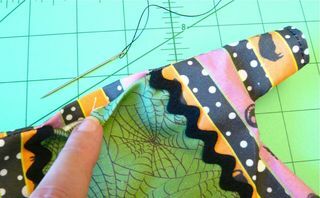 Take a small running stitch around the entire neckline, ending up back at the center back. 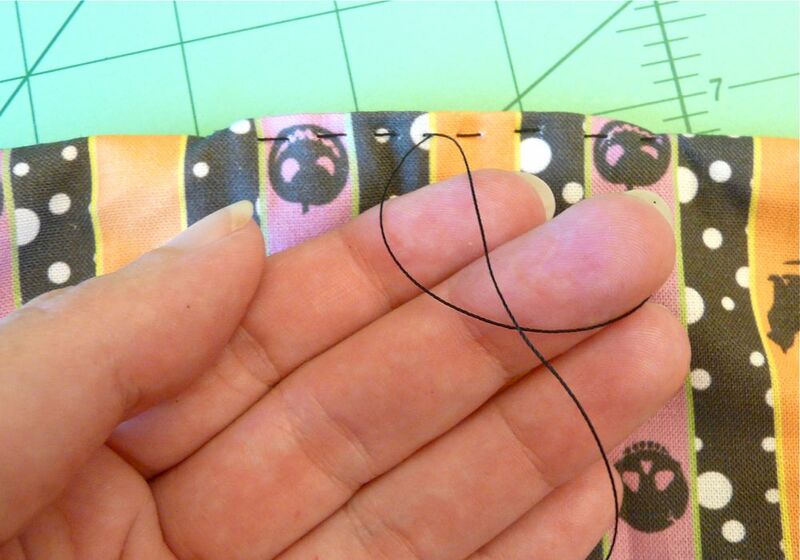 Leave tails of thread hanging at the both ends of this seam. We'll use this thread when we assemble the puppet. This video will walk you through making the puppet head and hands, and dressing it up. You'll also learn to add stick controls to your puppet's hands if you want to do some more complex puppeteering. Congratulations this week to Lisa Mirella of Portland, Oregon! Her pattern for a sewn puppet (titled 'Grrr…. argh!') ended up winning the most votes from a gaggle of delicious designs. 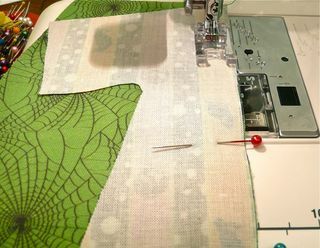 You can find more from Lisa on her blog MilkTooth, or in her Etsy shop.You can also see all of the top ten designs on our contest home page. 1. 811 votes for Grrr…arrrgh! 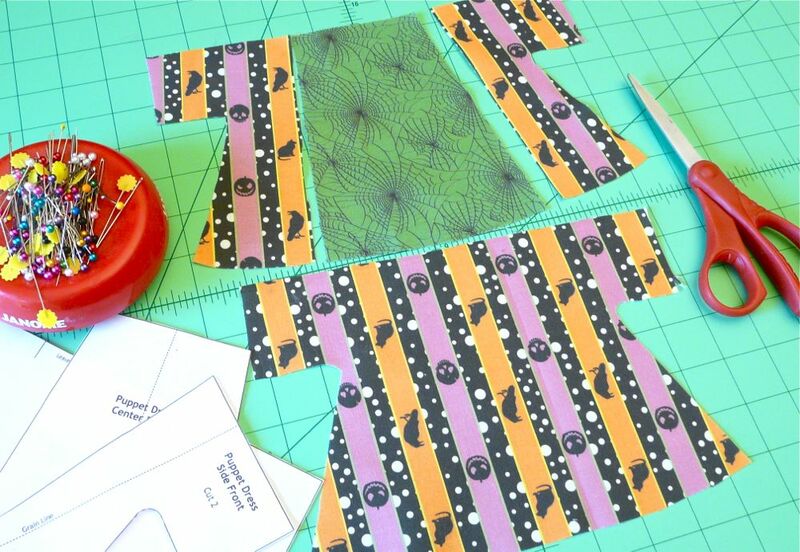 This week you get to choose your favorites from a bunch of really fun patterns for sewing puppets from a fat-quarter of fabric. I like this theme because the patterns offer the possibility of such simple, inexpensive kits. 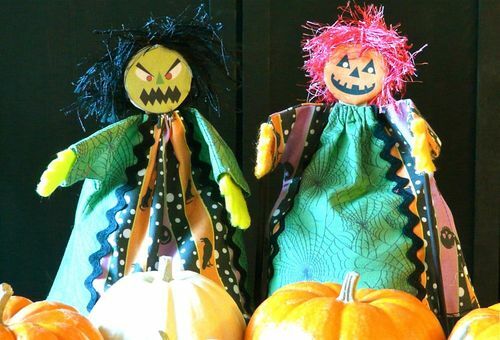 As usual, designers took different approaches to the contest, so you'll have to decide for yourself if the kit is really what the theme called for — a puppet pattern. Have fun! Just wanted to post a quick reminder about the three upcoming Fabric Of the Week themes we've announced so far. Contest winners receive $100 credit in Spoondollars + a whole lot of love from their Spoonflower peeps! 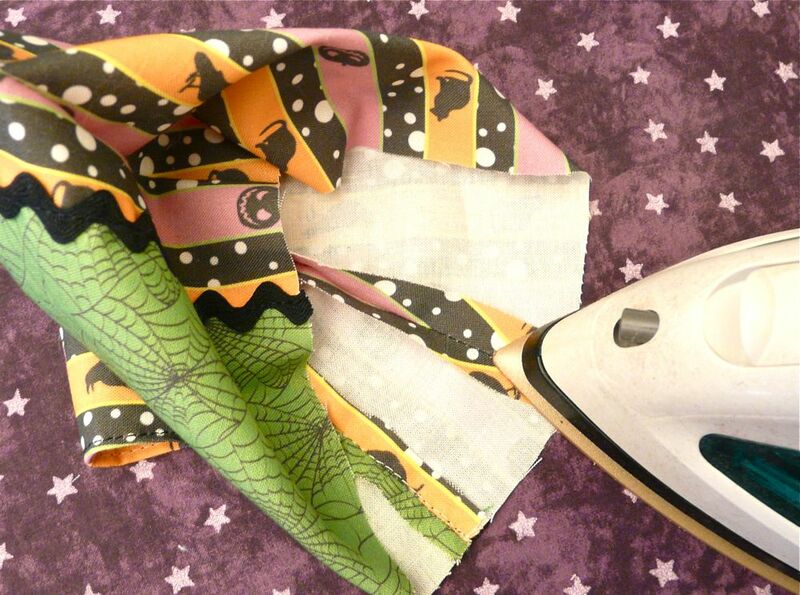 to see photos of finished puppets in the Spoonflower Flickr Group. the palette pictured to the right (here). (blue), C83333 (red), 98D485 (green), 27201D (black), F2F0EC (white). Deadline is Tuesday, May 18, 2010. Deadline is Tuesday, May 25, 2010.